I am relatively new to Inkscape and I want to create a rectangle which is thick from bottom and thin from top like a tower. How can I do that? Plus a good Inkscape book or ebook or tutorial would be appreciated. 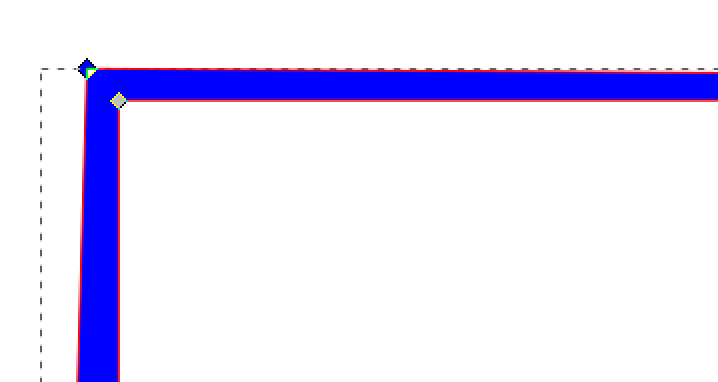 Draw a rectangle, let's say 300x200px with a stroke of 10px. 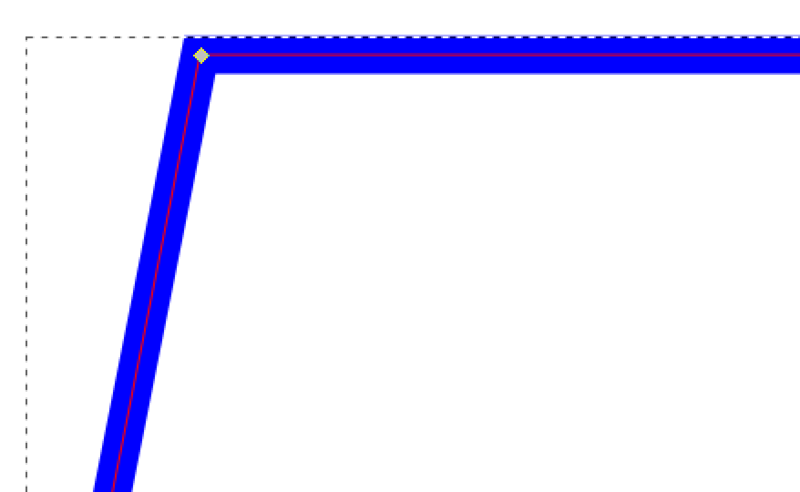 Select the rectangle and in the menu choose "Path" > "Convert stroke to path" (or hit Ctrl+Alt+C). Now enter the "Edit paths by nodes" mode (hit F2). Pick the top left node of your rectangle. Move it down and right (with the arrow keys) until the stroke on the left side of the rectangle has narrowed down to your liking. Repeat the (inverted) procedure on the top right corner of the rectangle. There you have it: A rectangle with thick stroke on the bottom and thin stroke on the top. Select the rectangle and in the menu choose "Path" > "Object to path" (or hit Shift+Ctrl+C). Now enter the "Edit paths by nodes" mode (hit F2). Pick the top left node of your rectangle. Move it to the right (with the arrow keys). 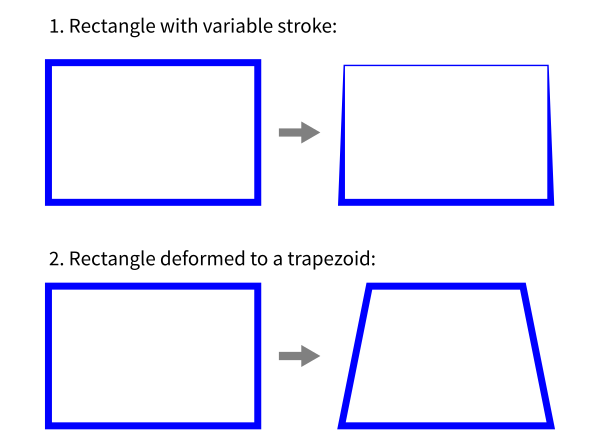 Voilà - a beautiful trapezoid.